"I've lost 2 stone 11lbs which took me just over 6 months." I'd been a serial slimmer for 20 years. I was also an avid watcher of TV food programmes, particularly Channel 4's "How To Lose Weight Well". At the end of the last series, viewers were invited to email the show if they would like to take part in the next series, so I emailed the show straight away, pulling in my friend, Sue Batch, for moral support! I put us forward to take part in Series 3 because we wanted to lose weight for a hairdressers' reunion. We'd worked together at a salon years ago when we were in our 20s - and didn't want to be seen as the "fat pair" at the reunion. I was amazed when we were both picked to take part. I think they liked the chatter and banter between us - we bounce off each other so well, which good friends do - and we can certainly talk! I run a hair salon and I'm always chatting with customers and one of them recommended an App called Nutracheck which they had seen in a magazine. We've always got the latest magazines lying around and customers often comment on new ideas they read about, so I Googled Nutracheck and decided to give it a go. Has your weight stayed fairly consistent over the years or have you always had to manage it? My weight has been up and down - more up than down, unfortunately and I'd tried everything except counting calories. This has been my breakthrough. "The App's brilliant. 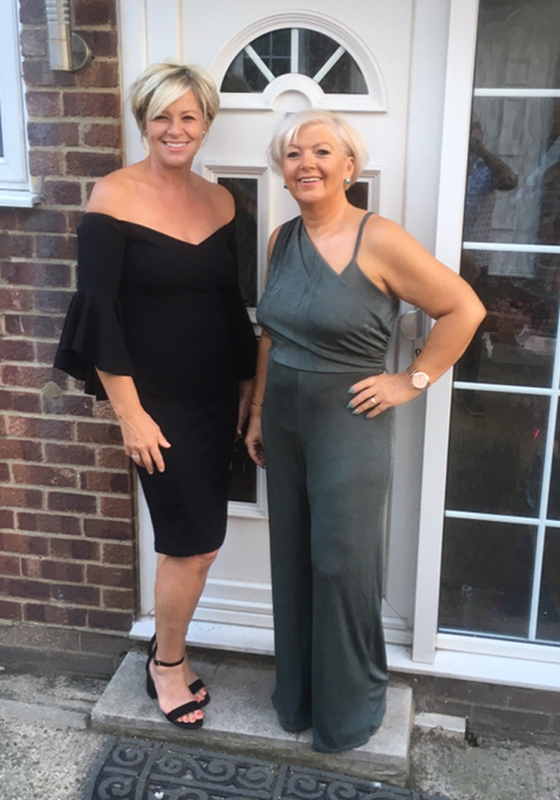 It was the easiest way in the world to lose the weight I wanted"
When we met the Channel 4 presenters on the first day, they gave us the diets we had been chosen to follow. I was given the 'ice-cream' diet, and I had to keep a daily food diary, so one of the producers suggested I try a calorie counting App. Of course, my 'ice cream diet wasn't just about ice cream, it was all about cutting down on calories to make sure I had room for a treat. I'm not a huge fan of ice cream, but I do like to have a dessert and I would have found it hard to manage my calorie intake without the App. I had never counted calories before, I always thought it would be too hard, but I was totally won over with Nutracheck. I'm quite good with technology and I liked Nutracheck because it counted all my exercise calories as well. It's easy to use and very reasonably priced at £3.99/month for the App. Now, there are 4 other girls at the salon using it! When I make my own food, the App's brill as well - so, if I make a chilli, I just scan the ingredients, portion it and add it to my diary, it's so simple. One of my weaknesses are crisps, and it has been easy to cut down, not cut out. Because it's so easy to scan food barcodes, it makes you very honest about what you're adding to your diary - there's no hiding from the numbers. I eat out quite a lot, and it used to be a problem finding calorie information. But I realised there's a good choice of restaurant menus on the App so now it's not difficult to record what I eat. At home I weigh everything, and even when I'm out I have no problems asking a restaurant to weigh a portion of salmon fillet for me, so there's no guessing. To me, it's just the same as asking for a salad to be served without the dressing, or for the bun to be removed from a burger. Transformed! I run a busy salon and life is always busy. Counting calories with the Nutracheck App took very little time. It's accessible and inexpensive and it works. If you can scan on your phone, you can use this App. It's the easiest way to diet in the world. Finally understanding portion control after all these years! My biggest downfall has always been eating large portions and Nutracheck has been a great educator for me. Also, I never understood the whole concept with some diets of "it's free food so you can stuff yourself" - that doesn't make sense to me; I would much rather be aware of the calories I am eating. How is it possible that pasta is 'free' food? Discovering Nutracheck has changed my life, and I've not struggled since. Log everything you eat, however small - all the calories count! When you're eating out, don't be afraid to ask the restaurant to weigh the portion out for you. Cut down - don't cut out - because you'll be miserable. 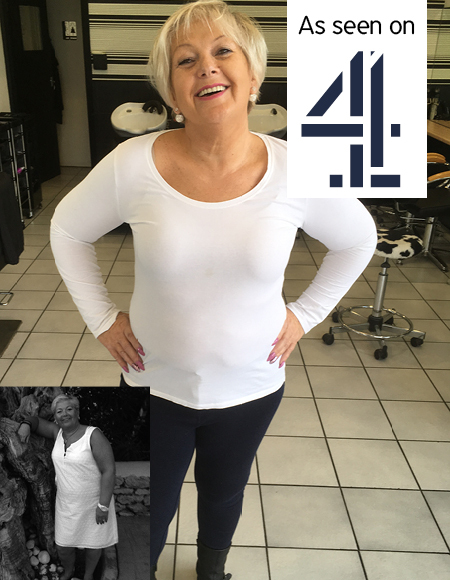 'How to Lose Weight Well' was broadcast on Channel 4 on January 22, 2018.